Betting on the horses is an extremely popular activity, and with Bitcoin and other cryptocurrencies, it can be easier than ever. Horse racing is one of the most popular sports to bet on in the world, with events such as the Grand National offering some of the highest levels of betting in any sport. 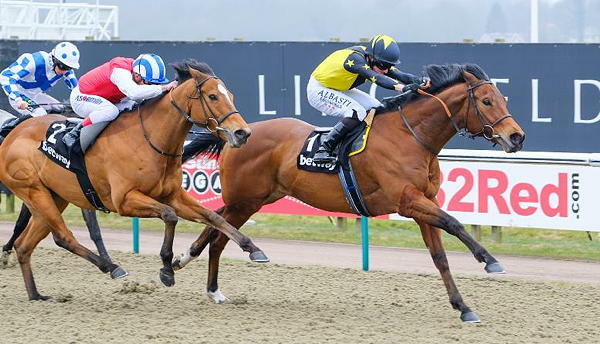 With the technology behind Bitcoin allowing for a seamless betting experience, here, we’re taking a closer look at how you can bet on the horses with Bitcoin. The best place to start when betting on the horses is to choose the right site to place your bets. Bitcoin casinos and sportsbooks comes in a number of forms but choosing the right Bit coin gambling site is the best way to ensure that your funds are as safe as possible. You can also benefit from anonymity, as there is no need to upload any form of ID or personal documents in order to create an account. The majority of sportsbooks and casinos which feature horse racing will have some form of ticket system, which you will be familiar with if you regularly place bets in person or on fiat sites. However, Bitcoin and other cryptocurrencies can provide a fast transaction process, with minimal fees, meaning you’re getting the most for your money. Some cryptocurrency betting sites can also provide you with a number of rewards, depending on the profile of the site. There are a few things to look out for when choosing the right sportsbook or online casino, and this includes whether or not they feature the right horse races that you would like to bet on (this is particularly important if you prefer to bet on some more obscure races). Once you have chosen the right sportsbook, start placing your bets! Betting on the races with Bitcoin is no different to betting with a regular fiat currency. You will generally have all of the same options that you would normally have on a ticketing system, with numerous types of bets including win, place and show. Nevertheless, some sportsbooks will provide a much simpler form of betting, with some only featuring the win option, so it is important to keep an eye out for this. If this is your first time placing bets on the horses with Bitcoin, then you should make sure that you have surveyed all of the options that you can choose and have a clear understanding of the best ways to place your bets. If you’ve been lucky enough to place your bets and win, then knowing how to withdraw is important. Fortunately, when betting with Bitcoin, the entire process is generally seamless. Your funds can be withdrawn from the wallet that you deposited with, and transactions are generally extremely fast = in some cases almost instant. One of the major benefits to withdrawing with Bitcoin is the minimal fees. As a result of this, you are not being charged in order to receive your winnings. Placing bets on the horses with Bitcoin is exceptionally similar to placing the same bets with fiat currency – however you can enjoy a much more secure environment with fast transactions and privacy as a result of the network. There are numerous benefits to placing bets with Bitcoin, and many bettors have already joined in the Boom.